Central National Insurance Company of Omaha was ordered into rehabilitation by the state of Nebraska in 1990. The rehabilitation failed and the state mandated that the company be bought or dissolved. White Mountains Re, Ltd. purchased Central National Insurance Company of Omaha in 2010, due to its bankruptcy. White Mountains Re, Ltd. is a subsidiary of Bermuda based White Mountains Insurance Group, Ltd. White Mountains is one of the largest reinsurance groups in the world. White Mountains operates in the United States, Bermuda, and Europe. The company began in 1980, underwriting property, casualty, agriculture, accidental, and health reinsurance. It currently uses Symetra to underwrite medical policies for employees of businesses. Symetra Select Benefit Policies have an established set dollar amount for doctor visits, X-rays, and hospital stays. Symetra policies are available in all states except New York, Hawaii, and New Hampshire. In order to qualify for the plan, at least 10% of all eligible employees must be enrolled or five employees, whichever is greater. The plan is fairly flexible. Preexisting conditions are covered except for conditions listed on the exclusion and limitation list. Deductibles are covered under the policy except for certain dental deductibles and prescription co-pays. Lastly, PPO networks are not required, but available for an additional charge. The Symetra policy is designed as extra coverage to supplement coverage already in effect, offer less comprehensive coverage to employees that do not qualify for full medical coverage, replace a high deductible medical plan, or cannot afford the expensive plans that are currently on the market. Monthly and hourly plans can be customized depending on the needs of the business’s employees. Monthly plans are billed the same every month per the policy. On the other hand, hourly plans require the premium to be billed according to the number of hours the employee works. The more hours the employee works, the better the benefits. The hours and benefits are based on the amount of hours worked the previous month. Symetra Shared Maximum Benefit Option is another policy offered by Symetra. Under this policy, insured’s have the option of sharing a maximum benefit for the preselected core benefits. Core buy ups require the employer to pay 100% of the coverage. Employees can then pay additional for added benefits called “buy ups”. Buy ups are not required; they are strictly voluntary. Rates depend on who is covered on the policy. Single policies only cover the individual. Tiered policies separate the pricing for employees and their dependents. Lastly, composite policies include the employee and all eligible dependents. 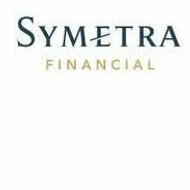 Symetra Agents are independent agents and brokers, benefits consultants, and financial institutions who are educated in which states are able to underwrite for Symetra. All Symetra claims are processed in Ashland, Wisconsin. Most providers file the claim directly with Symetra. However, if the provider does not file the claim for the insured, you can submit a claim by filling out the information on the claim form, which can be downloaded on the website. Be sure and attach a copy of your itemized bill with the form for review. White Mountains Re’s website lists job opportunities as well as a guideline on how to apply for positions with the company. You have the ability to choose a job category as well as the city and state you are interested in working. The various companies under White Mountains Re, Ltd. can also be chosen to narrow down the job search. The site also provides the ability to submit your resume to the company and by establishing an account online; you can update your resume periodically. You also have the ability to see the jobs you have recently applied for with the various companies and locations. Although Central National was headquartered in Omaha, White Mountains maintains its U.S. headquarters in New York City. Symetra maintains an A rating by AM Best and was recognized as one of the “50 Top Performing Insurance Companies” award issued by Ward’s. It serves close to two million clients in various insurance capacities.